Do you have questions about the injection molding world, its processes and technology? Have a look at our FAQs to get a better understanding of injection molding! What kind of equipment does ASPEL use to measure and monitor the quality of produced parts? Our head offices also dispose of a GOM optical 3D scanner, mainly used during Advanced Product Quality Planning (APQP). What are ASPEL’s product capabilities? ASPEL is a plastic injection molding company specialized in meeting the strictest automotive quality requirements. technical & complex parts: parts with small tolerances, thin walled parts and visual & cosmetic parts. On top of that, ASPEL offers expert design improvement services for product parts. Where are ASPEL’s plants and production sites located? ASPEL thinks global and acts local. Thanks to several production plants, manufacturing sites and offices in Belgium, Slovakia, Mexico and China, we are able to serve you around the world. Our worldwide presence and international culture are key to our success. Plastic injection molding is a process in which large numbers of high-quality product parts are produced with great speed and accuracy. Thermoplastic granules are melted until they are soft enough to be injected into a mold of hardened steel under high pressure. After having cooled down in the mold, the plastic parts are ejected. After that, the process will be repeated. Does ASPEL also provide support during the development and improvement of product part design? In consultation with you and your company, we check, discuss and improve the part design based on the drawing. Aspel is a registered user of MoldEx 3D. Before building a serial mold we can also start with a proto tool. This proto tool enables us both to quickly test and validate the design of the part. What is the range of your machine park? ASPEL disposes of several horizontal and vertical injection molding machines with rotating tables and turning plates in the range of 15 to 500 tons. In addition to traditional machinery and processes, we work with advanced automation technology: from pick & place systems and 100% in-line quality checks to fully integrated automations including packaging solutions. As a customer of ASPEL, where will my main contact be located? As a customer of ASPEL, your main contact will be located in our headquarters in Europe. A specifically assigned account manager will ensure a direct and globally transparent customer business relationship and will see to your every need. After receiving a Purchase Order, we start with a kick-off meeting organized by the dedicated Project engineer. During the kick-off meeting, the project engineer shares valuable project information with the defined project team, including plant members. On finalizing a project, a final closure meeting will be organized before starting production. All project data are constantly managed in a tracking and tracing system. How do I know if ASPEL can make my plastic parts? What kind of raw materials does ASPEL use for injection molding? 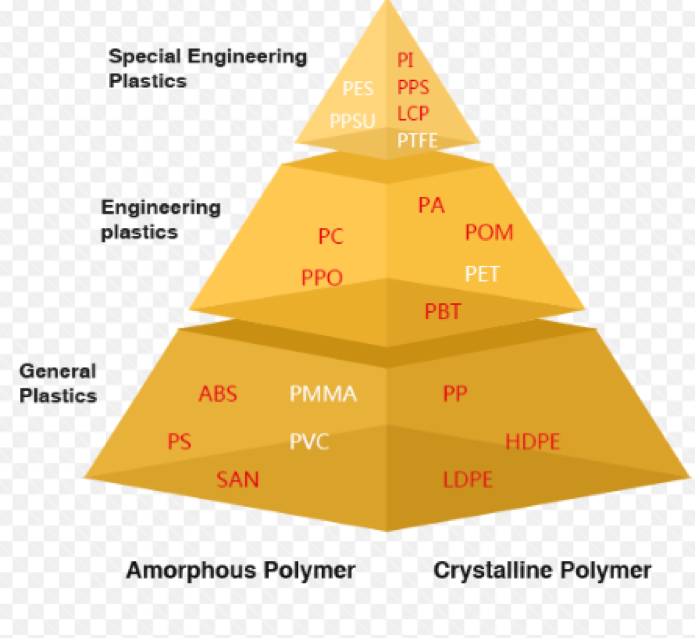 ASPEL uses thermoplastic polymers, mainly general and engineering polymers. These materials are sometimes combined with thermoplastic elastomers for 2K molding.